Sai Ram all. I am living in USA. When i newly came USA, I did not have driving license. I thought to apply it. When i joined job, it was getting very difficult for me to commute. My husband was helping me in my commute. I was totally dependent on him for transportation. In California local transport is not so good. I thought to apply for license. My husband said that he will teach me. First I took one class from professional instructor. After then my husband started teaching me. I was very much keen to learn it. Although my husband was teaching me very well, yet I used to get angry sometimes. He used to get rude on my mistakes. Its obvious to get rude because driving is a matter of life, not only your life but also others. I was changing a lot my mindset regarding my husband. Sometimes I used to cry a lot. I asked Baba to give me driving license else, my personal life will be spoiled because I am very emotional. I was crying literally for my license. 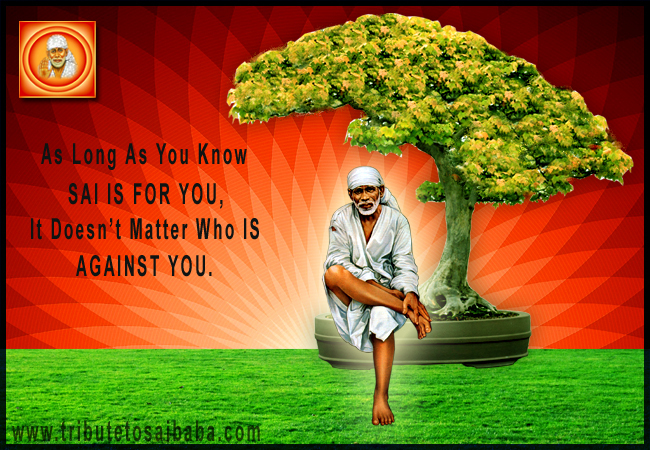 One day I saw a dream that I am driving and reading Shri Sai Satcharitra. I saw that my office colleagues were looking at me while driving and reading this holy book. There is no combo for reading book along with driving. A thought clicked on my mind that why I am seeing this dream? May be Baba wants me to read Shri Sai Satcharitra Prayan before behind the wheel driving test. I was very serious to pass the test. I prayed Baba to give me appointment for test only on Thursday. It was tough to get appointment in bay area on the day as per your wish. But Baba made an appointment available to me for Thursday. I was very happy. Only five days were left. I had to finish Sri Sai Satcharitra Prayan as well. I started Shri sai Satcharitra on Monday and finished on Wednesday. Finally the day came and when I went for test. Again my husband played some joke about my driving that I will fail, he was sure about it. I took it very seriously and prayed to Baba to prove him wrong. I was keeping Baba’s photo in my car rack which I got from temple. I took that picture out, kissed it and talked to Baba to help me in passing the exam. Here in Bay area driving test examiners are very rude. I thought mine is going to be same. But by Baba’s blessings a very pretty, american lady came to me. She said that i am your examiner. Feel comfortable, don’t fear. She was wearing yellow flowers in her hair (Yellow flowers are Baba ’s favorite) . I got the indication that Baba himself has come to take my test. She was very calm. She took me to very easy normal route, where daily I used to do practice. By Baba’s blessings it was little rainy, roads were empty. So it was very easy for me to drive, changing lane during the test. Finally, we came back to DMV office after the driving test. She said that congrats you cleared the exam. Here is your report card and go and get your temporary license from window #24. I was passed with good marks. My husband was standing there in queue, waiting for me. She went to him and smiled. My husband thought that I failed. He came to me and said that you are failed, I am sure. I said no I passed the driving test. He said that he could not believe, show me the report card. I gave that to him. He was very happy and said that he could not believe. I told him that it’s Baba who helped me in this exam. Thanks to Baba. Then we headed towards DMV office and got the license. I am very thankful to Baba. My gratitude to Baba for understanding my situation. Love you Baba. I can remember Baba’s saying “Why fear , when i am here”.